You can always trust the classics for a good ol' scare. (SPOT.ph) Halloween is the season for all things creepy and frightening, and nothing will scare you more than a classic horror film. These old favorites didn't need CGI to make audiences jump from their seats; instead, they relied on building suspense, painstakingly creating the right atmosphere, and imagining new ways to terrify the audience. 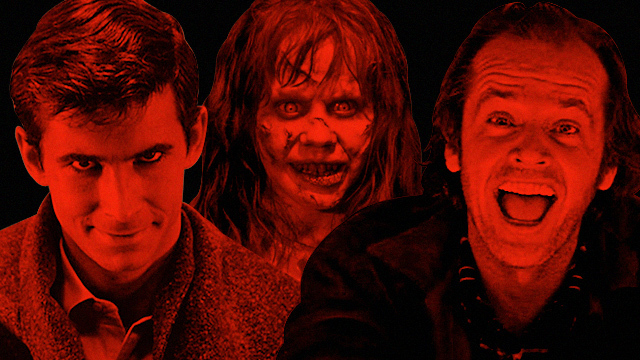 In fact, these films set the standards for the many horror flicks that came after. From suspenseful thrillers to blood-splattered slashers and everything in between, we round up 10 classic horrors that will (still) keep you up at night. Stanley Kubrick's immensely masterful adaptation of Stephen King's novel is widely considered one of the greatest horror films of all time. Redrum, "heeeere's Johnny! ", and the Grady twins are just some of the many recognizable references you'll still see today. More than its cultural influence, however, is a truly haunting tale of a writer's (Jack Nicholson) unnerving descent into madness when he becomes a caretaker of an isolated hotel. It's a visually complex masterpiece that deserves a rewatch—that is, if you can handle it. Cillian Murphy plays a man who awakens from a coma and finds the world in utter chaos. While on the run from the rabid, flesh-eating victims of a virus, he stumbles upon a group of survivors and joins them on a dangerous journey to safety. Danny Boyle's frantic, post-apocalyptic horror reintroduced the zombie genre to modern audiences, blending action-packed gore with political and social commentary. Alfred Hitchcock isn't called the Master of Suspense for nothing. His 1960 classic isn't just one of his best films; it's also widely praised as one of the greatest pieces of cinema of all time. Psycho stars Janet Leigh as Marion Crane who goes on the run after stealing from her boss, as well as Anthony Perkins playing Norman Bates, the disturbed manager of a secluded motel. Many exorcism-themed movies have come and gone, but horror fans will always go back to the 1973 tour de force that started it all. Loosely based on actual events, Linda Blair portrays Regan, a young girl who is possessed by a demonic entity, and it's up to her mother (Ellen Burstyn) to seek help from a local priest. Many have credited The Exorcist for its grotesque and gasp-inducing special effects—a cinematic feat considering it was made in the '70s—but it's the performances and themes of motherhood and religious faith that have made this film a classic for the ages. Horror films can be more than just supernatural entities and bloody death scenes. A perfect example is director Billy Wilder's 1950 film noir about Hollywood and the perils of stardom. Gloria Swanson plays Norma Desmond, an aging silent film actress who refuses to accept that her star has faded. She hires a struggling screenwriter (William Holden) to stage her comeback, but her insatiable obsession and bizarre delusions lead to madness and death. After Robert (Gregory Peck) and Katherine (Lee Remick) lose their baby just moments after he's born, the former secretly decides to adopt an orphaned boy without telling his wife. They name their "son" Damien and as he grows up, strange events begin to plague the family. What makes this film a true horror classic are its disturbing moments, including a visitor who joyfully hangs himself at a children's birthday party and a violent decapitation scene via a plate of glass. Wes Craven's cult favorite stars an ensemble cast that includes David Arquette, Neve Campbell, Courteney Cox, and Rose McGowan as residents of a small town who are terrorized by a mysterious killer. The film famously subverted typical clichés of the genre, combining clever satire, gruesome deaths, and a whodunit mystery. If anything, it's the opening sequence involving Drew Barrymore that will keep you glued to the screen...with your eyes half-covered, at least. Loosely inspired by the real-life crimes of Ed Gein, this 1974 film follows a group of friends who unwittingly falls victim to a family of cannibals. As they try to escape, a hulking, chainsaw-wielding killer who wears a mask of human skin begins to attack them one by one. The film kickstarted a successful franchise centering on Leatherface, while pioneering many elements seen in slasher movies we know today. Written, directed, and edited by Eduardo Sanchez and Daniel Myrick, The Blair Witch Project tells the story of three filmmakers who venture into the Black Hills to unravel the mysteries behind a local legend called Blair Witch. They disappear but all their footage is discovered a year later—which essentially makes up the movie that the audience is watching. Although the film is largely fictional, it was marketed as a real-life documentary that fooled many audiences. 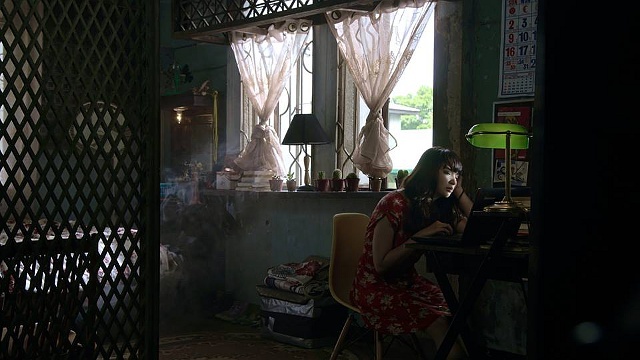 It also kickstarted the found-footage genre that we see now in films like Paranormal Activity and Chronicle. Based on Stephen King's novel of the same name, Carrie stars Sissy Spacek as the titular character—a shy and viciously bullied teenager who also faces torment from her abusive mother (Piper Laurie). Strange occurences begin to happen around Carrie, but things really take a deadly, horrifying turn on the night of her prom. Its director, Brian de Palma, went on to do more fan-favorite films, such as 1983's Scarface, 1987's The Untouchables, and 1996's Mission: Impossible.